Charles Sims is an American football player who plays the position of running back for the Tampa Bay Buccaneers of the National Football League (NFL). He was selected by the Buccaneers as the 69th overall pick in the third round of 2014 NFL draft. He completed his college career at University of Houston and West Virginia University. During his senior year, he was named to the All-Big 12 First-team; he also won Big 12 Newcomer Offensive Player of the Year 2013. Learn more about his biography, NFL career, measurements and other facts below. The Buccaneers star was born as Charles Edwards Sims in Houston, Texas on September 19, 1990. Sims was born to African-American parents and his mother’s name is Dinetta Oliver. Nothing much is known about his father because he was raised by his mother. He grew up in Westbury neighborhood where he attended Westbury High School. Sims was a two-sport star during his high school; he played football and also participated in track and field events. He holds an American nationality and is of Afro-American ethnicity. While he was at Westbury High, Sims played the position of a running back for the school football team. He won the District 21-4A MVP and was named to the All-District First Team during his Junior year. He notched a total of 17 touchdowns, 37 receptions, and 1,018 rushing yards for the school team. At the end of his high school career, he was rated three-star athlete by Rival.com and was ranked 74th best running back prospects of his class. Upon graduation, Sims enrolled at the University of Houston where he played college football from 2009 to 2012. During his freshman year, he was awarded Conference USA Freshman of the Year after recording nine touchdowns and 698 rushing yards. The following year, he was redshirted so he could focus on his academics. Returning to the team in 2011, he was named to the first team All-Conference, USA after he notched nine touchdowns, 110 carries and covering 821 rushing yards. During his last season at Houston, Sims had 11 touchdowns, 142 carries, and 851 yards. He was named to the All-Conference USA second team and also won Andre Ware Offensive MVP. 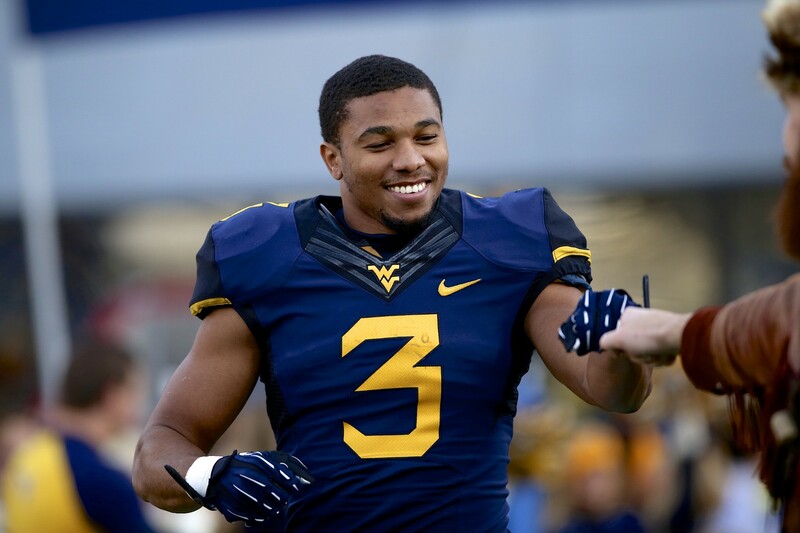 He transferred to the West Virginia University for his senior year. While he was there, he was named All-Big 12 and was honored with the Big 12 Offensive Newcomer of the Year Award. Sims hauled 11 touchdowns, caught 4 passes for 401 yards, 208 carries, and 1,095 rushing yards. At the end of the season, Charles Sims was listed among the running back prospects in the NFL draft of 2014. During the NFL draft of 2014, Charles Sims was picked by the Tampa Bay Buccaneers as the 69th overall selection in the draft. He joined the Buccaneers in the 2014 season and made his first professional appearance against Atlanta on September 11, 2014. He recorded his first career rushing touchdown against New Orleans in December 2014. At the end of the season, Sims played 8 games; had 19 receptions for 190 receiving yards. He also made 66 carries for 185 rushing yards. The following year, he notched 16 games, 4 receiving touchdowns, 51 receptions, 107 carries for 529 rushing yards, and 561 receiving yards. His 561 receiving yards made him the fourth running back in franchise history to record such yards in a single season. In 2016, Charles Sims was plagued by a knee injury which led him to miss most games of the season. He recorded 24 receptions, one receiving touchdown, 51 carries for 149 rushing yards in 7 game plays at the end of the season. In the 2017 season, he played all 16 games for the Buccaneers, finishing the season with 35 receptions, 21 carries for 95 rushing yards, 249 receiving yards and one touchdown. In April 2018, Sims signed a one-year contract extension with the Buccaneers. We hope the 2018 season, will be a breakout season for the quick-footed running back. Charles Sims is very hardworking, leads by example and is got speed and explosive one-cut ability. His soft hands have been a good technique which helps him catch the ball away from his body. He has a good height, wonderful body measurements, and loose lower body with nice ankle flexion to cut sharply. Sims stands at a height of 6 feet, weighs 214 pounds and has an arm length of 31 inches; as well as a hand size of 8¼ inches. In addition, he has black hair and brown eyes.